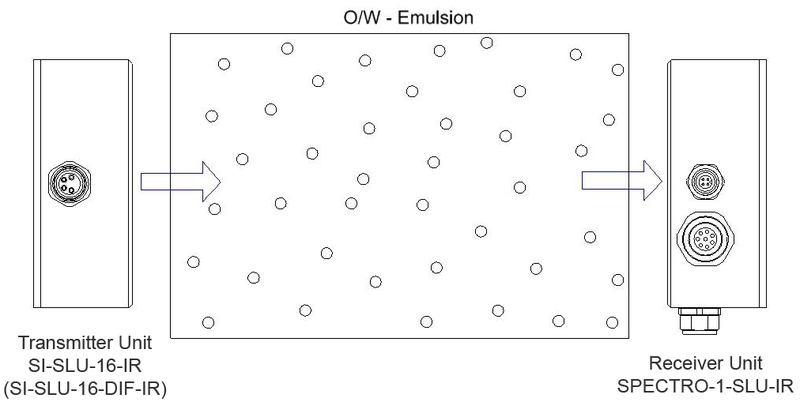 An emulsion is a homogeneous mixture of two usually immiscible liquids (e.g. oil and water). It exists in the form of a finely dispersed mixture of two liquids, where one liquid (e.g. oil) forms small droplets (dispersed or inner phase) and the other liquid (e.g. water) takes up various droplets and causes them to float (continuous or outer phase). The existence of droplets also explains the turbid, milky appearance of emulsions. 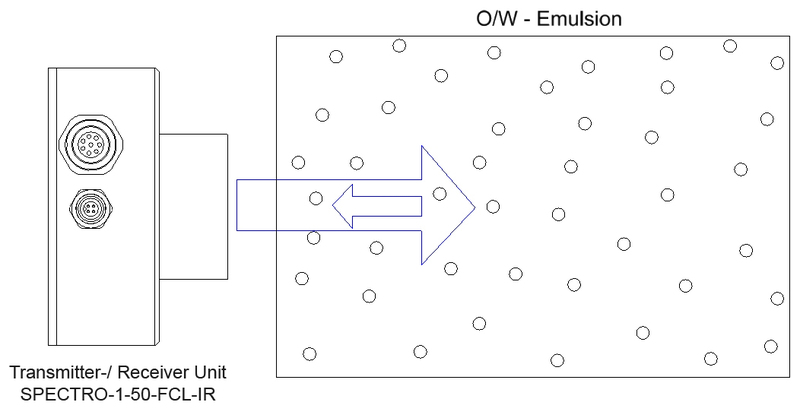 In case of emulsions of water and oil both the oil (oil-in-water emulsion, O/W emulsion) and the water (water-in-oil emulsion, W/O emulsion) can form the inner phase. Since the hydrophilic character of water and the lipophilic behaviour of oil do not show any tendency to mix, emulsifiers (so-called surface-active agents) are used to prepare and stabilise an emulsion. The phase-volume ratio is the quotient of the volume fraction of the inner phase and the volume fraction of the outer phase. 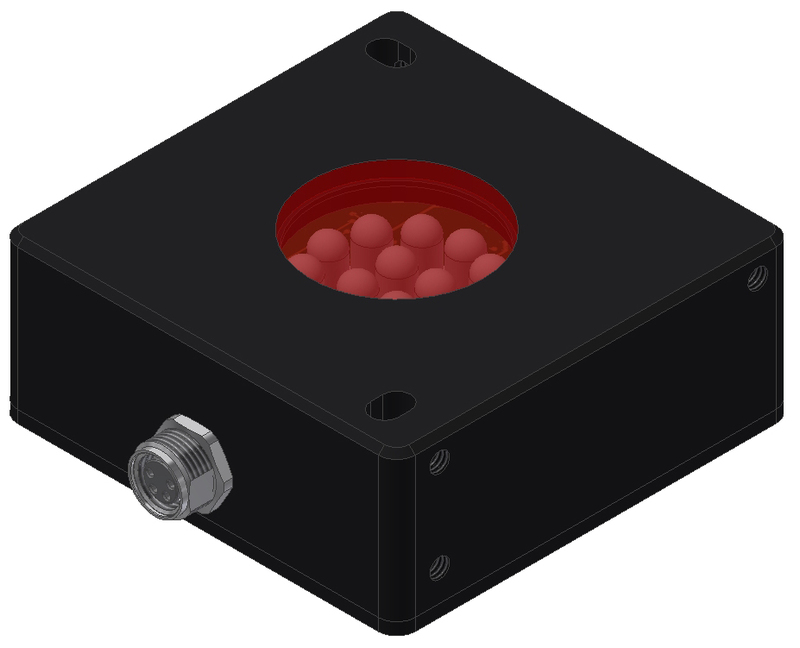 Based on the assumption that the average particle diameter of the droplets of the inner phase during a change of the phase-volume ratio corresponds with, turbidity measurement can provide information about the phase-volume ratio. 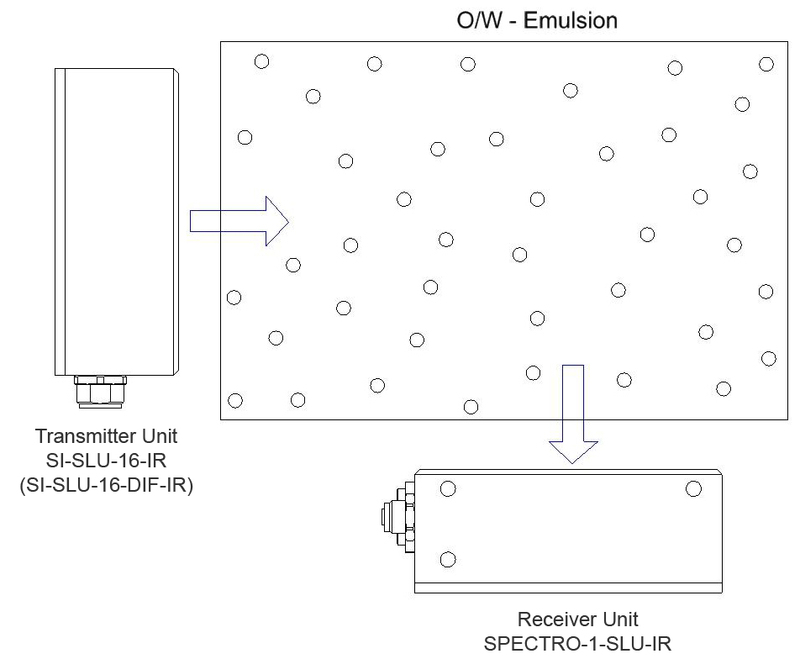 The light that is emitted by the transmitter unit is partially diffusely reflected (light scattering) or absorbed by the droplets of the emulsion. 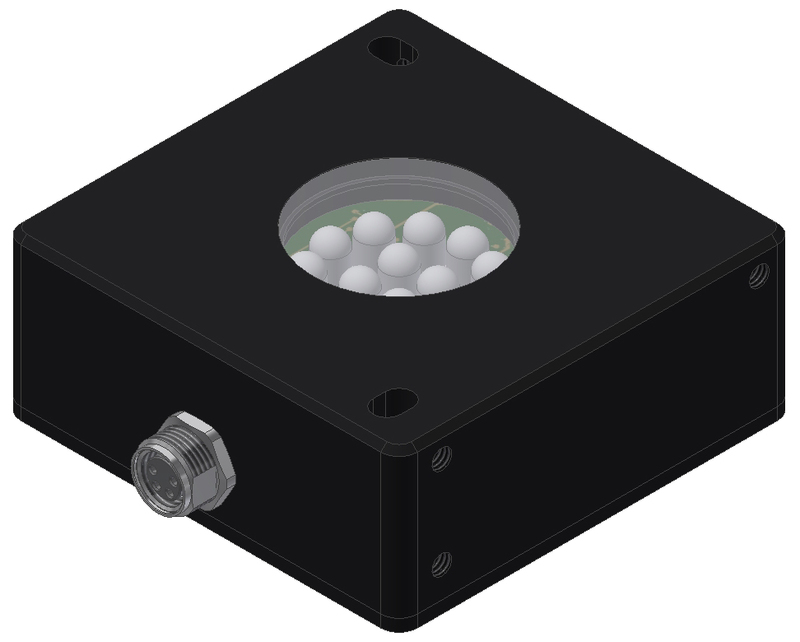 When the number of droplets increases (higher phase-volume ratio) the light quantity that is measured by the receiver unit decreases. The droplets also generate scattered light in this method. 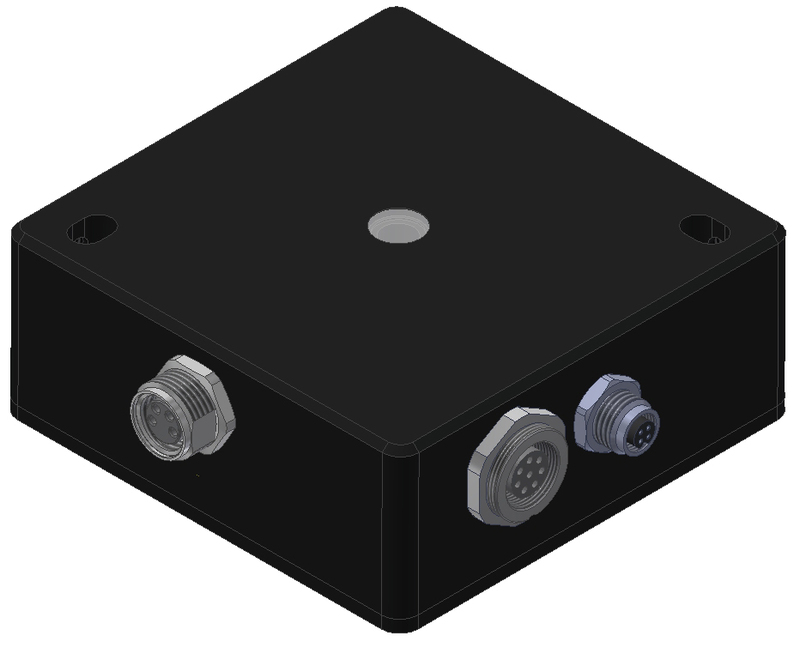 The receiver unit is arranged at an angle of 90° with respect to the optical axis of the transmitter unit's light beam. 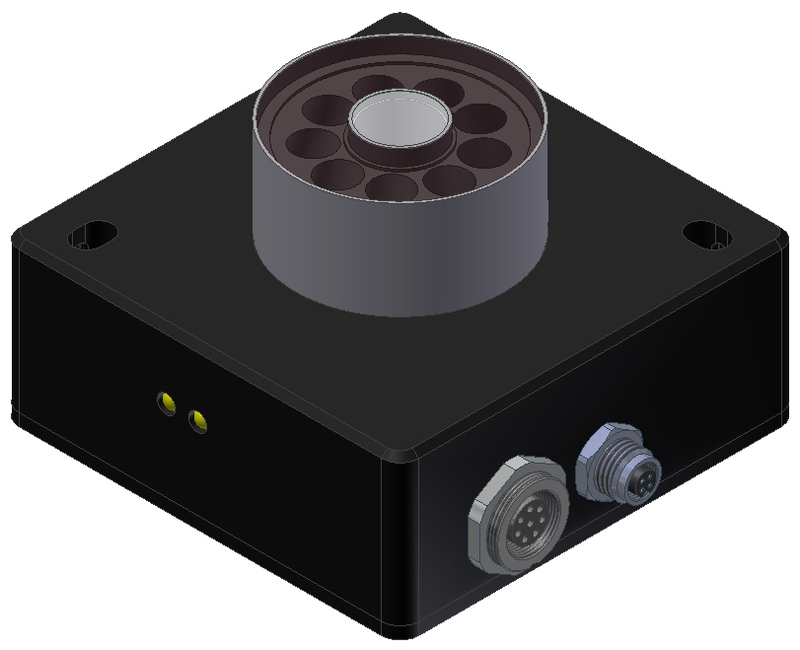 An increase of the phase-volume ratio first leads to a signal increase at the receiver unit. When the droplet concentration becomes too high, however, the effect may reverse due to multiple scattering. With low to medium concentrations there primarily is single scattering. Similar to the lateral scattering method the scattered light that is generated by the droplets is used to determine the phase-volume ratio. 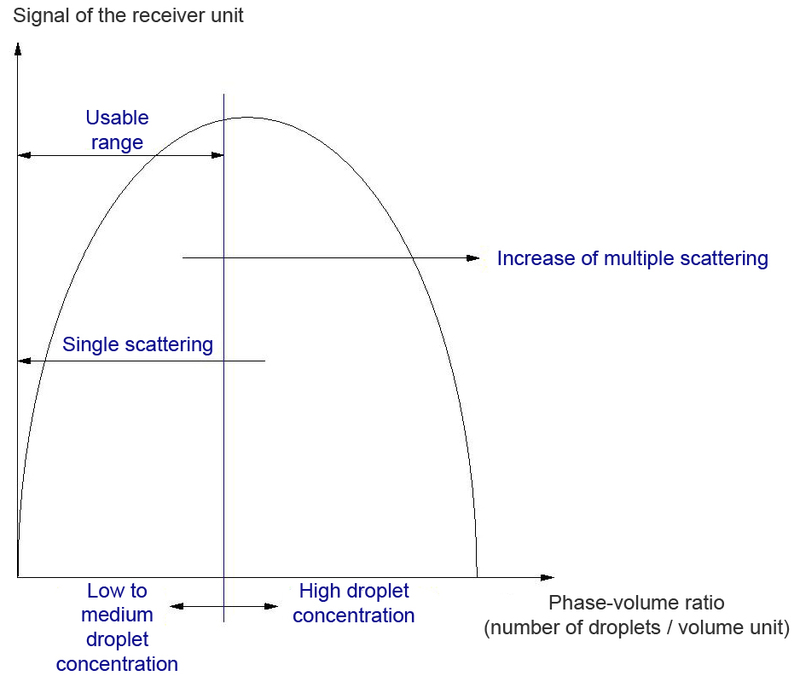 An increase of the droplet concentration results in a signal increase at the sensor. This method is suitable for low to medium particle concentrations. Emulsions on mineral-oil or vegetable-oil basis can be excited to fluoresce by using UV light. 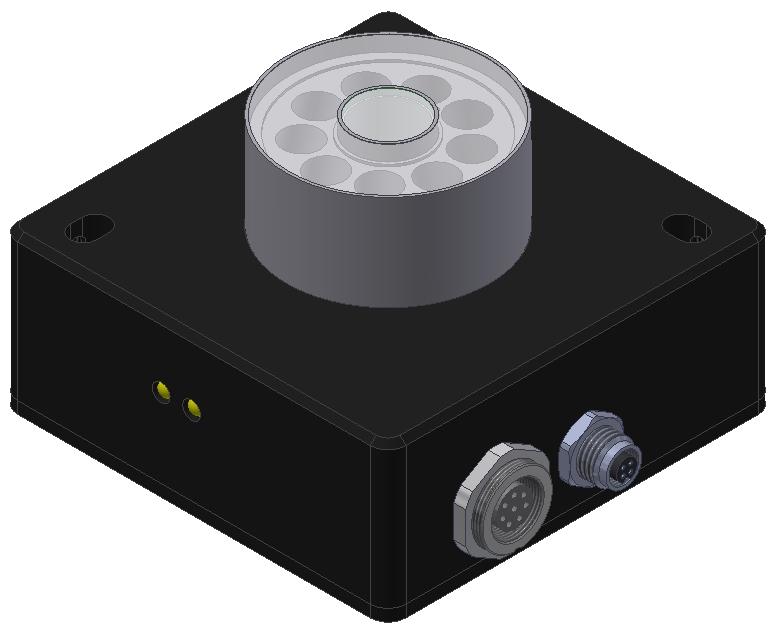 With this method a sensor is used that contains both the UV transmitter unit and the receiver unit for visible light. 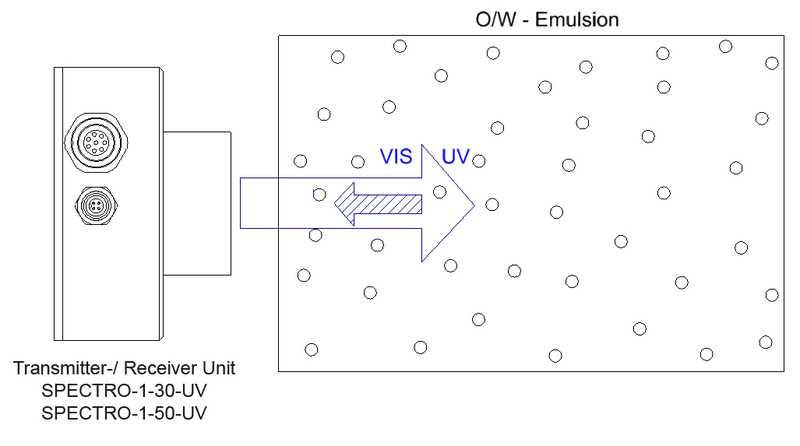 In case of an O/W emulsion the UV light that is emitted by the sensor impinges on the oil droplets (inner phase), and in case of a W/O emulsion on the outer phase (dispersion medium), and is converted into the visible range by the oil molecules (fluorescence). This light that is generated by fluorescence is emitted in all directions, and some of this light also arrives at the receiver optics. 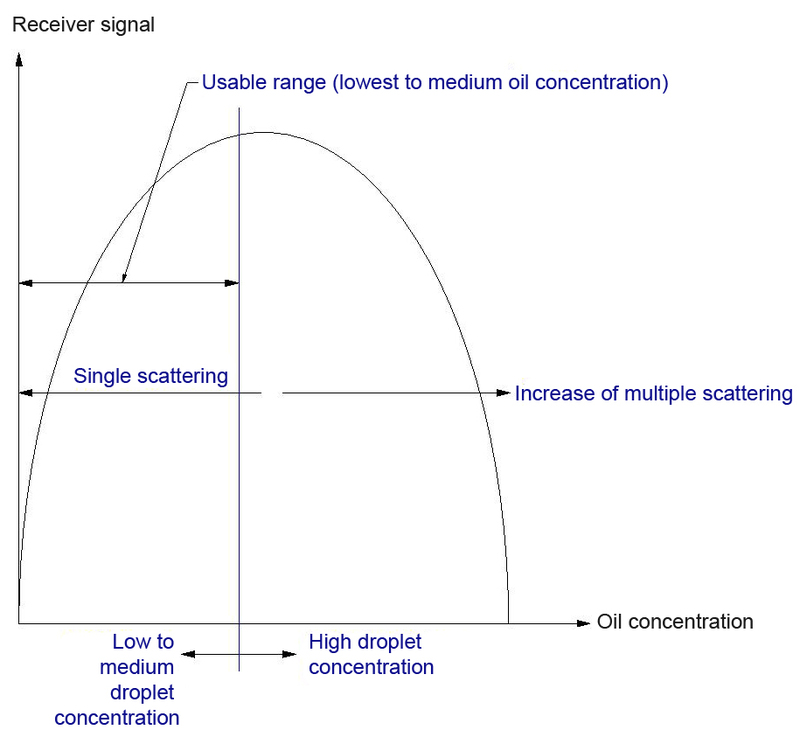 An increase of the oil concentration first also means an increase of the receiver signal, but here multiple scattering also leads to a reversal of the effect, i.e. the signal decreases again when the oil concentration further increases.